This guide is a work in progress as the new Bash on Ubuntu on Windows Linux Subsystem is in beta. There is a lot of functionality not implemented yet so you'll find that, while the basics might work, some of the more advanced and complex things won't. The reason we're going to be using Bash on Ubuntu on Windows because it allows you to run Linux on your Windows machine. 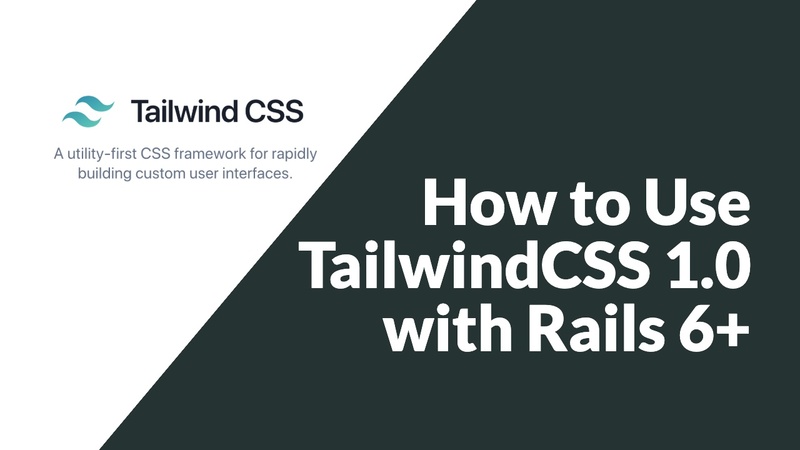 Most Ruby on Rails tutorials and dependencies work best on Linux, so this allows you to get the best of both worlds. A Windows machine for your day to day work, and a Linux subsystem for Ruby on Rails development. This only works on 64-bit installations of Windows. This is also in beta, so this won't be nearly as robust as running a Linux virtual machine, but it can definitely do the basics well enough. Bash on Ubuntu on Windows is the name for the Linux Subsystem that's in beta right now for Windows. It allows you to run Linux on Windows without having to run a VM. Right now, this update is only available to those on the "Fast" option in the Windows Insider program. You'll want to join the Windows Insider program and set your Insider level to "Fast". Here's how you can join the Windows Insider program. The first step is to enable "Developer mode" in Windows. You can do this by opening up Settings and navigating to to Update & Security, then "For Developers". Click the "Developer mode" option to enable it. Now we need to enable to Windows Subsystem for Linux. You can do this by opening Control Panel, going to Programs, and then clicking "Turn Windows Features On or Off". Looking for the "Windows Subsystem for Linux" option and check the box next to it. The earliest working version of this for me is Windows 10 release 14352. If Windows Subsystem for Linux doesn't show up in the list right away, you may need to make sure you're part of the Windows Insider program and set to the "Fast" level, update Windows, reboot, or wait a few days for the option to become enabled. I enabled Developer mode and had to wait two days or so before the option became available. I'm not sure how this feature propogates, but try a couple of these options and you should get it. Once you've got this installed and after rebooting, we can start setting up Bash on Ubuntu on Windows. Start by searching for "bash" in the start menu. Next we'll follow the installation steps to get Bash on Ubuntu on Windows installed. Once that's complete, you can open up the Start menu again and search for "Bash". This time it will have the Ubuntu logo. Now you've got a functional Ubuntu Linux installation running on your Windows machine! From here we can follow the normal Ubuntu setup steps to install Ruby, Rails, and our database. The first step is to install some dependencies for Ruby. The easiest way to setup PostgreSQL is to install it on Windows using one of the Windows installers. You'll be able to run it in Windows and connect to it through Linux. Download PostgreSQL for Windows and install it. Pay attention to the username and password you setup during installation of Postgres as you will use this to configure your Rails applications later to login to Postgres when your Rails app runs. The best place to develop Rails apps on the Windows Subsystem for Linux is to navigate to `/mnt/c`. This is actually the C: drive on Windows and it lets you use Sublime, Atom, VS Code, etc on Windows to edit your Rails application. When you create a new Rails app, you might run into the following error: parent directory is world writable but not sticky. If you run into this issue, you can run chmod +t -R ~/.bundle and that should fix the permissions errors and let you finish the bundle install for your Rails app. # Navigate to the C: drive on Windows. Do this every time you open the Linux console. Now that you've got your machine setup, it's time to start building some Rails applications! To edit your code in Windows: open up Sublime, Atom, VS Code, or whatever editor your prefer and point them to your folders in C:\code and you'll be able to safely edit your Rails apps in Windows and run them in Linux! That's it! Let us know in the comments below if you run into any issues or have any other protips to share!.